You may have heard recent news stories about investment in an electrical Smart Grid, but wondered, “What’s so smart about it?” Loosely defined, “Smart Grid” is a term used to describe investments and upgrades to the nation’s electrical grid, making it function more efficiently and in a more environmentally-sensitive manner. We all understand the effect the electrical grid has on our household finances, because we come face-to-face with our electric bill each month. But the nation’s electrical grid is much more than a ho-hum utility. The century-old power grid is the largest interconnected machine on Earth – so complex and an integral part of daily life that it has been labeled by some as a separate ecosystem, containing over 300,000 miles of transmission lines. It comes as no surprise that, driven by power usage created by bigger homes and more electronic devices, the demand for electricity has exceeded transmission growth by 25 percent every year since 1982. Summer peak demand is expected to increase by almost 20 percent during the next 10 years. Yet spending on research, development and renewal is among the lowest of all industries, leaving the grid struggling to keep up. The grid is also a major player when it comes to pollution. While transportation of all kinds creates 20 percent of the carbon dioxide we produce, the generation of electricity emits 40 percent, greatly impacting the discussion around global climate change. Grid transformation is seen as one of the key ways to address some of the effects of carbon emissions. And while our electricity system is amazingly reliable- 99.97 percent by industry estimates, power outages and interruptions cost Americans $150 billion each year, or about $500 per man, woman and child. What causes interruptions in electrical service? While storms and other natural occurrences lead to some unavoidable outages, blackouts and brownouts are occurring due to infrastructure concerns—such as lack of automation , slow response time of mechanical situations and lack of “situational awareness” on the part of grid operators. In fact, if the grid was able to improve efficiency by just 5 percent, the energy savings would equate to permanently eliminating the fuel and greenhouse gas emissions from 53 million cars. How can these improvements be accomplished? 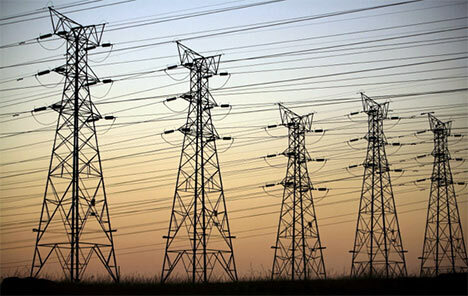 One means many states are considering is the implementation of “smart grid” techniques labeled real-time pricing. Typically, prices paid for energy consumed during peak periods are established and known to consumers as a day ahead (“day-ahead pricing”) or an hour ahead (“hour-ahead pricing”). Taking advantage of real-time pricing, consumers can then vary their demand in response to actual electric costs, managing their energy costs by shifting usage to a lower-cost period or reducing consumption overall. By communicating with consumers in this way, a smarter grid can reduce some of the need for new infrastructure because load is reduced during peak times. It is hoped that tapping the power of millions of consumers to shed grid-load will slow the need for new infrastructure and provide utilities with time to build in more cost-efficiencies into their plans. Reduction of demand during peak times also helps lower electricity bills, typically by a rate of at least 10 percent or more. One locale taking steps to institute smart grid technology is Miami, Florida. In a program called Energy Smart Miami, plans call for deployment of more than 1,000,000 advance wireless “Smart Meters” to area homes and most businesses in Miami-Dade County. These meters will give Florida Power & Light Company (FPL) customers more information and control over their electricity usage while also providing FPL with information that will enhance system efficiency and reliability.